NEOANALYSIS is officially tasked with the management of the Institute of Intelligent Systems and constitutes the permanent organizer of the ITS conferences since 2012. 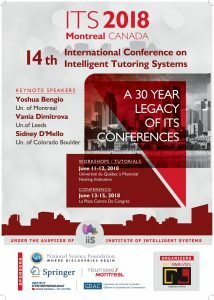 The first Intelligent Tutoring Systems (ITS) international conference was held in Montreal in 1988. For more information click on the following logos!